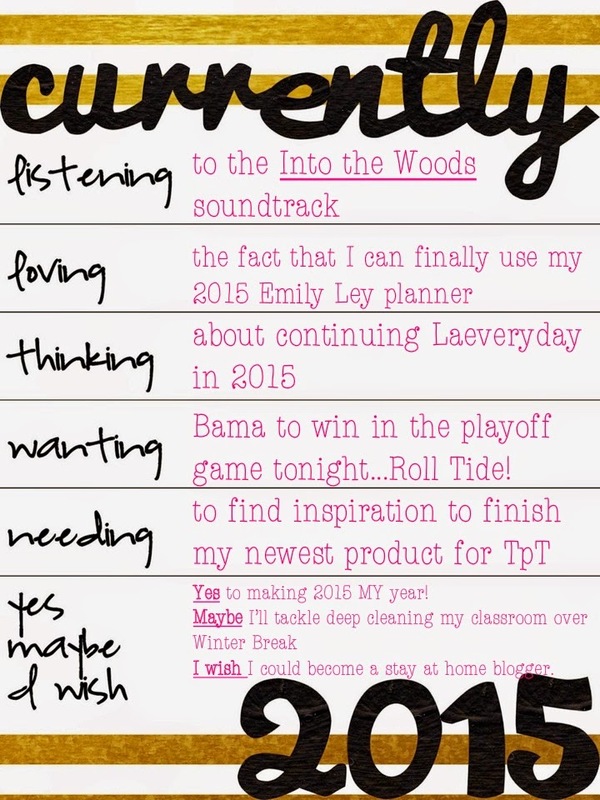 Today I'm kicking off 2015 by linking up with Farley over at Oh Boy 4th Grade for the very first time! I love reading everyone's Currently and thought it was time I join in the fun! I'm currently listening to the Into the Woods soundtrack. Yes, I'm one of those people who loves listening to broadway and musical soundtracks. I actually didn't realize that this movie was a musical until we were in the theaters and it started. Such a happy surprise! I *LOVED* this movie and the songs! I'm thinking about continuing my picture a day hashtag on Instagram. I did #laeveryday2014 all last year and it was such fun to look back throughout the photos but it was a bit of a headache at times. I can't decide if I want to keep it up in 2015. I'm wanting the University of Alabama to win the Sugar Bowl tonight against Ohio State in order to play for the National Championship. Roll Tide! I'm needing to find inspiration to finish my newest creation for TpT. I've been sitting at my computer for over an hour hoping I'll find the motivation to get it done. Yes to making this year MY year! The year I eat better, finally exercise, and learn to not get so wrapped up in my job! Maybe I'll tackle deep cleaning the classroom. Y'all, it certainly needs it! We need a fresh start when we go back next week so I definitely need to make this happen! I wish I could become a stay at home blogger. I love teaching, but my dream job has always involved working from home. I love my house and am a major homebody so having the opportunity to work from it would be amazing! I just realized you manage two blogs. You are super woman! Oh dear! I am right there with you on the deep cleaning of the my classroom. I have years worth of junk that I really need to purge! Good luck with it! Hi Leslie! Although I am an AU fan (War Eagle! ), I too, am ready to watch Alabama play. They are super talented and so deserve to be where they are! 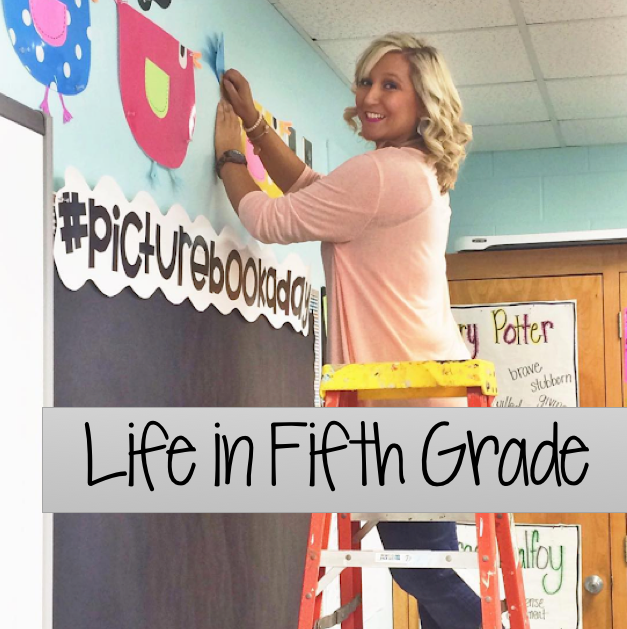 I am with you too about cleaning your classroom. My mother has graciously agreed to help me with that tomorrow... that is, if I don't change my mind. With the rain that's on the way, I can't think of anything better to do than work. Will you have kids on Monday? We have an inservice, so it's kinda like an additional day of vacation... almost. Take care!